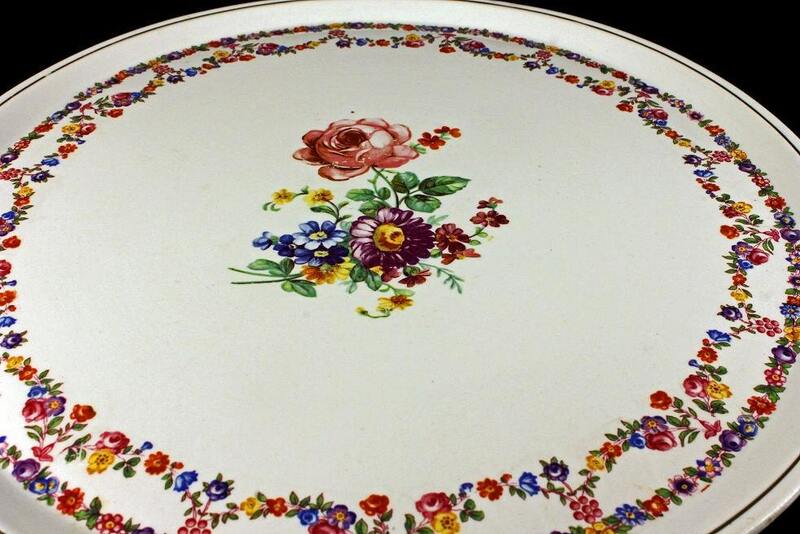 This is a lovely cake platter made by Granit and made in Hungry. 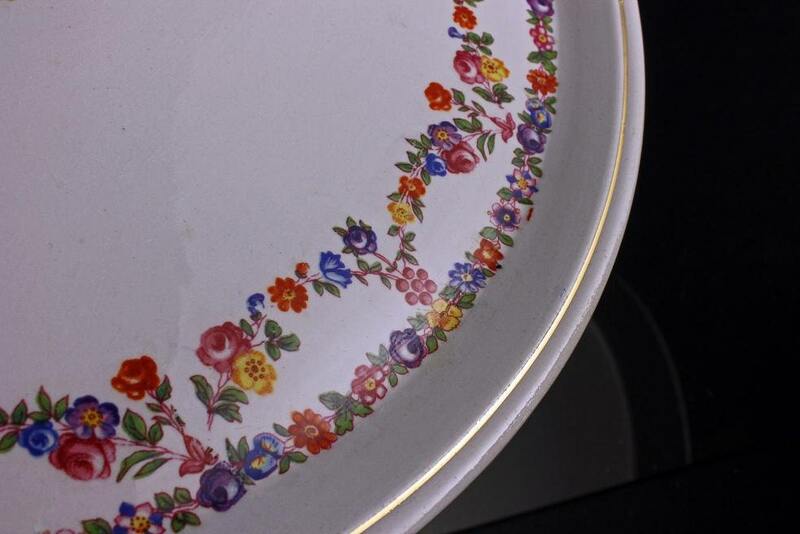 The pattern is a large center of flowers with more flowers forming an outer ring. The rim is edged in gold. 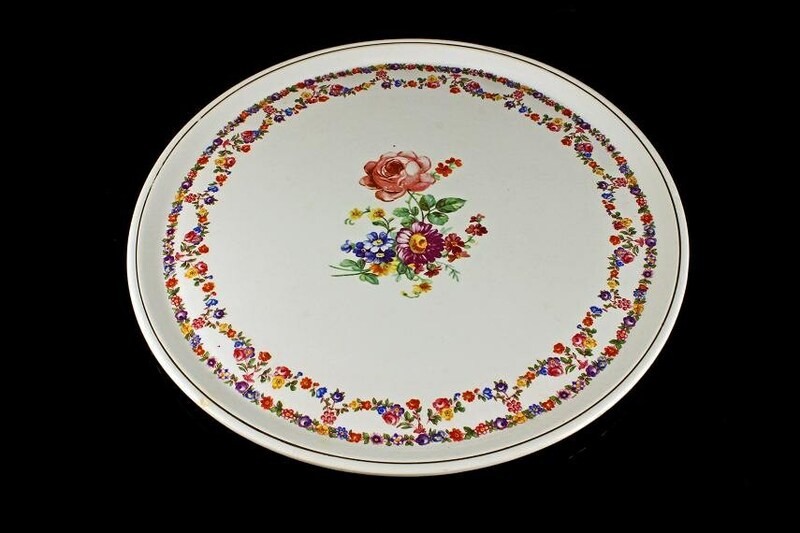 This platter would be great for all those homemade goodies from cakes to cookies. 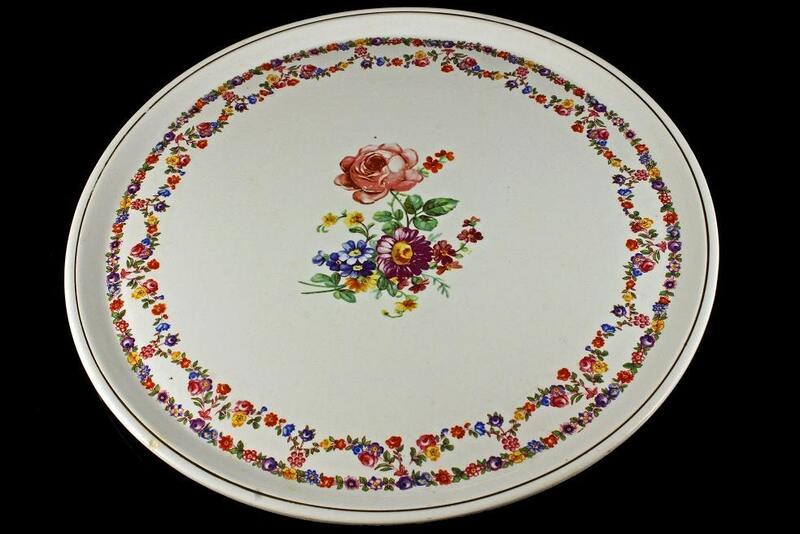 This vintage platter is in very good condition. 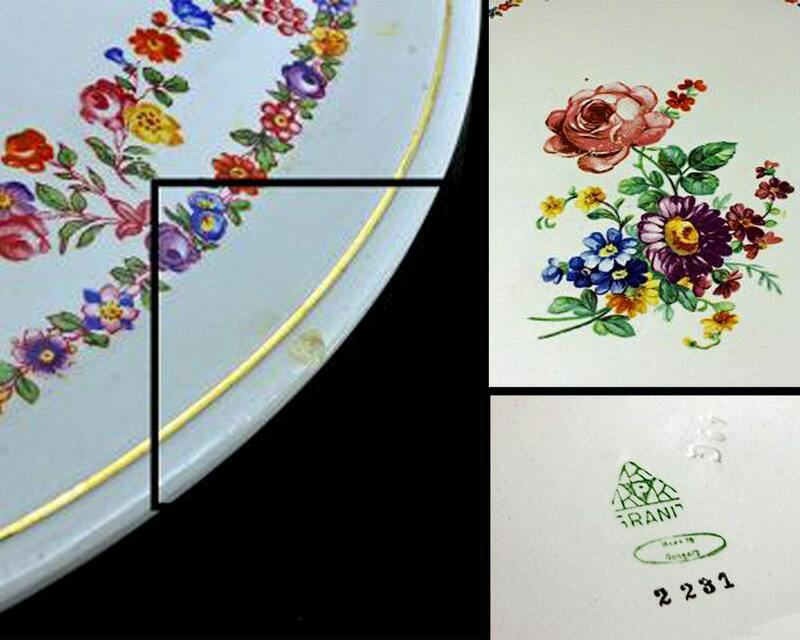 It has utensil marks on the roses in the center and one small chip on the rim. (See photos) Our price reflects this.